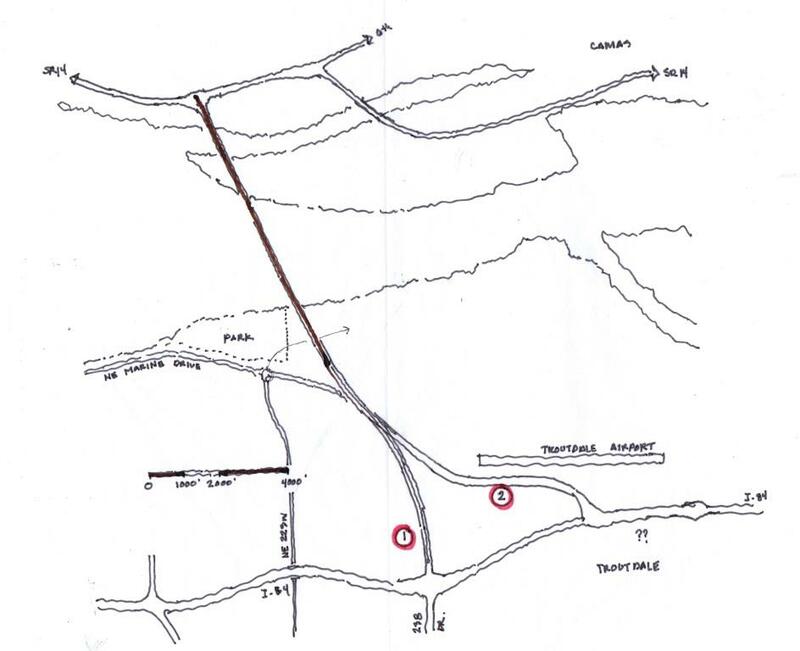 Since Clark County voters approved the exploration of a possible East County Bridge in the November 2013 election, now that we have an actual design, a committed builder, and financial backing, this site was created to provide citizens with full disclosure of the specific proposal. All available content from the bridge designer, builder, transportation architect, pro-committee and con-committee is provided for citizens to understand the proposed East County Bridge project. Points and counter-points are included to the extent that each committee has provided. Q: I’ve been told that the I-5 Bridge is too old and in danger of collapsing into the river (due to rotting wood pilings) and needs to be replaced before we begin other projects. Since safety always comes first, mustn’t we make replacing the I-5 Bridge our top priority? The Federal Highway Administration (FHWA) has concluded that wood foundation piles submerged in ground water will last indefinitely. – See Timber Piling Council Link. Q: I’ve been told that the I-5 Bridge has a low sufficiency rating. Doesn’t that mean that it is functionally obsolete since it is so old? A: The sufficiency rating is a measure not related to structural integrity. Rather, the sufficiency rating indicates the conveniences and desirability of the configuration. Both spans were designed to carry 2 lanes and included shoulders. But to stretch the capacity, both spans were re-striped to cram 3 narrower lanes into the space of 2 lanes. The shoulders were sacrificed in the process. The same thing was done to the I-84 for the same reason. That bought us more time until we could build a 3rd and a 4th Bridge to add distributed capacity. After a new corridor is added that would provide a third bridge immediately upstream of the I-5 to straighten out the curve and bypass the Portland choke points, the existing I-5 Bridge can connect the surface streets and be striped back to 2 lanes with shoulders. Most of the Portland and Oregon bridges were not built to seismic standards. The I-5 Interstate is just one of them that can be seismically upgraded if desired. Q: I’ve been told that the I-5 Bridge is our main source of traffic congestion that must be fixed and that the East County Bridge does nothing to help our regional traffic congestion problems. Why don’t we replace the I-5 Bridge to solve that problem? 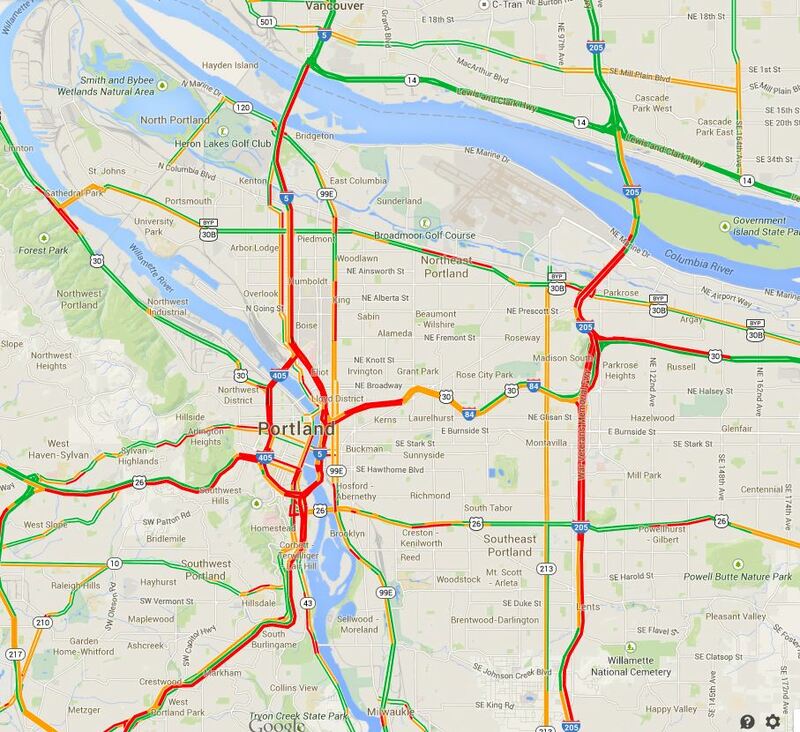 A: Google Maps (weekdays at 5:30 pm) shows the true traffic congestion is actually centered in the heart of Portland due to the insufficient capacity of the interstate corridors in Portland, especially where they intersect. Transportation architect Kevin Peterson documented this fact in his presentation. Until Portland makes a commitment to add significant capacity where it is needed most, little congestion relief would be provided by a replacement I-5 Bridge. Q: Why not build a west county bridge from I-5 north of Vancouver to Route 26? Such an extensive project would resurrect all the anguish that Portland experienced in the 1980s and 1990s when they rejected a similar west side proposal. The costs of such an endeavor would dwarf the projected cost of the CRC project. This is a not currently a realistic option considering the existing development and the highly significant obstacles. Q: I’ve been told that the days of funding gas taxes are over because gas tax revenue keeps falling as cars get better mileage, so from now on, we need tolls to fund our roads and bridges. Is this true? A: No. There has only been one year (2012) in the history of the fuel tax when less tax was collected than the previous year. 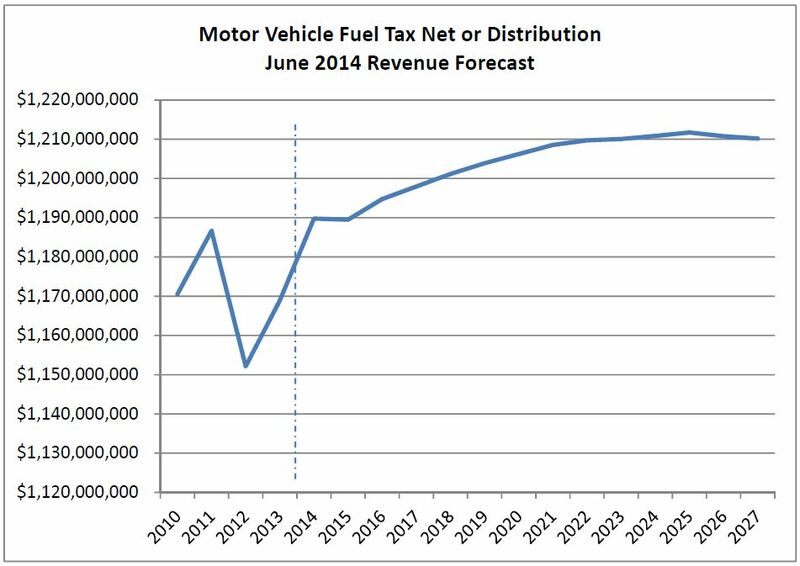 This argument is refuted by the Washington State Office of Financial Management that published the fuel tax revenue forecast featured below. More people are driving as our state population continues to grow. In addition, other revenue sources are also growing, and these sources further increase our transportation funds. Q: Where is the best location for a new east County Bridge? A: Two locations were studied and proposed in the 2008 Transportation Corridor Visioning Study published by the Regional Transportation Council. We’ve received a quote and commitment to build at the first location at 192nd Avenue to connect near 181st Avenue and then to Exit-13 of I-84. That proposal was held up by the Vancouver City Council in 2014 who opposed any project that was not the CRC project. The connection at 192nd Avenue and SR-14 was annexed into Vancouver in 2008. That gave Vancouver jurisdiction over that connection and the power to stop the project at that location. However, the Mayors of Troutdale, Fairview, and Wood Village are urging us to build at the second location proposed by the 2008 study. That would connect near the 6th Avenue interchange of the SR-14 and near 223 Avenue to Exit 16 in Troutdale. That location is also the shortest span in the region. We are currently pursuing that location which of course is outside of the city of Vancouver. Q: What if the bridge is too popular and too many people use it? Will four lanes be enough? At the Camas/Troutdale location, the capacity will likely remain fixed as 2 lanes in each direction to remain compatible with the connections. Q: Public Transit is a high priority for Portland. Their multi-billion dollar investment in light rail is underutilized. How does this project help? A: C-Tran, Clark County’s public transit system already has numerous express buses for commuters to cross the I-5 and I-205 Bridges to connect to Portland transit stations. These are some of C-Tran’s most successful routes. This bridge provides the opportunity for C-Tran to offer additional express bus service to the MAX Light Rail station on Burnside, 1.3 miles south of I-84 on 181st Avenue. In this way, Clark County commuters using this C-Tran service would increase the use of Portland’s underutilized light rail system. Q: I’ve heard that this project has not been approved by the governors, the two state legislatures, WSDOT, ODOT, Portland, Vancouver, etc — So it can’t happen. A: The CRC project demonstrated the disadvantages of a top-down process that overrules the local communities. This process is purposely bottom-up. It starts with approval from the people first — those whom the bridge will serve and those most affected. If the majority of community citizens support it, then the project can proceed to enroll the buy-in of progressively higher authority jurisdictions. This project demonstrates a cooperative spirit as we work our way up the ladder rather than bypassing citizens’ concerns with a top-down agenda. Q: Why require the East County Bridge to be toll-free? A: Adding a toll bridge to the area would do more harm than good by triggering similar tolls on the I-205 and I-5 Bridges in the same way that adding tolls to the SR-520 (in the Seattle area) resulted in adding tolls to the I-90. The CRC project paid millions to CDM Smith to predict the traffic diversion to the I-205 Bridge if the I-5 Bridge was tolled. The conclusion forecasted an unacceptable level of new traffic congestion on the I-205. In this case, adding a toll bridge would produce the same results as the SR-520 / I-90 case. Tolling one bridge requires tolling the major alternative routes to prevent traffic congestion. The East County Bridge cost has been capped to stay below the cost threshold that would trigger tolls. To make this bridge even more affordable, multi-year financing, if desired, already backs this project in case the public funds are not available within the five year project schedule. Adding tolls would violate the primary purpose of our transportation infrastructure. Rather than enhancing interstate commerce and better connecting our local economies, bridge tolls would erect a wall of separation between our bi-state community and stifle interstate commerce. Q: I’ve been told that this project does not have a financial plan. If there is one, what is the financial plan? A: The primary opposers of this project are CRC proponents who claim that we cannot afford to spend up to $860 million for the East County Bridge. The illogical conclusion expects us to instead spend more than $900 million on a down payment, borrow billions more, add billions more in interest costs, and add tolls for debt service for the CRC Light Rail Tolling project that continues to funnel all cross-river traffic through two bridges. The ready to build East County Bridge design proposal provides a far more affordable option for our finances to add 28% more cross-river traffic lanes. The financial plan for the CRC included federal light rail funds but no federal highway funds. Tolls were required for additional billions in debt service and to meet local match requirements for the light rail funds. The East County Bridge project will not accept any federal funds since doing so would trigger far more costs and years of financial complications. State funding keeps this simple, quick, low cost, and maximizes the freedom of our community to optimize the project to better meet our needs. The financial plan for the East County Bridge is simple. The plan is for Oregon and Washington state legislatures to authorize less than they were already willing to pay for the CRC down payment alone, to instead fully fund this bridge with our existing gas taxes. They may even schedule smaller increments over a period of years to make the project even more affordable than our studies have predicted. This would pay for the entire project with no cost overruns. Q: Will the East County Bridge cause unacceptable traffic congestion on our surface streets? A: The 2008 RTC study predicted a relatively minor increase in traffic volume on 192nd Avenue (the equivalent of about 2/3 of one lane) suggesting that it would still be free flowing during peak hour. The RTC study predicts that the impact to 164 Avenue would be minimal. Kevin Peterson answered this question in detail here where he states that he believes that the RTC numbers are low and impact will be higher. Appendix B includes the before and after traffic estimates. To access the Regional Transportation Council (RTC) 2008 Transportation Corridor Visioning Study that compares this bridge to alternatives, click here. Arguments for and against the ballot measure, the rebuttals, and counterpoints by the Pro and Con committees are available on the Arguments page.